Just a quick note to tell you and Todd how much we loved the portrait of Ernest! Clifton says it is the best present I have ever given him! Thanks again! 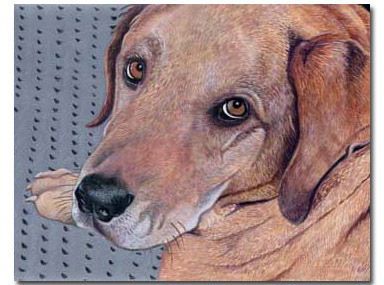 The soulful stare of Ernest was captured in the portrait commissioned for a Father’s Day gift.